Unlike other webhosts who offers reseller accounts, our reseller plans give you the ability to host UNLIMITED domains under one large account! We will provide you with the tools, reliability and 24/7 support to make your hosting company a real success! 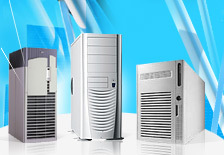 We provide all reseller solution clients with the Web Host Manager Software. Adding packages and accounts in real time have never been easier. Free with your Reseller Account!